Maximizing the quality index modularity has become one of the primary methods for identifying the clustering structure within a graph. As contemporary networks are not static but evolve over time, traditional static approaches can be inappropriate for specific tasks. In this work we pioneer the NP-hard problem of online dynamic modularity maximization. We develop scalable dynamizations of the currently fastest and the most widespread static heuristics and engineer a heuristic dynamization of an optimal static algorithm. Our algorithms efficiently maintain a modularity-based clustering of a graph for which dynamic changes arrive as a stream. For our quickest heuristic we prove a tight bound on its number of operations. In an experimental evaluation on both a real-world dynamic network and on dynamic clustered random graphs, we show that the dynamic maintenance of a clustering of a changing graph yields higher modularity than recomputation, guarantees much smoother clustering dynamics and requires much lower runtimes. 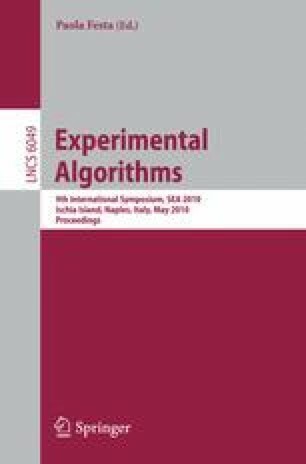 We conclude with giving recommendations for the choice of an algorithm. This work was partially supported by the DFG under grant WA 654/15-1. The full version of this extended abstract is available as a technical report .